T.T i was half way finishing blogging tis post..
guess i jus hav to type it again..GRR.. look!! 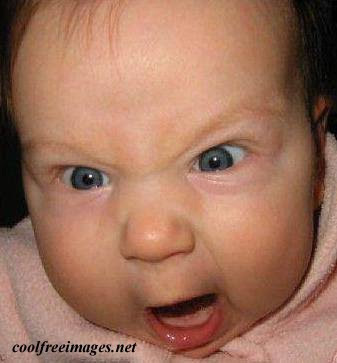 even the baby is angry..HMPH!! ok..this post is to continue the post before..
erm,where did i stop again? ok dadi talking to me in the car..
was also thinking if dadi can date when he was about my age..
reach there..meet Jo Ee, Pei Wen, Daniel n Pei Ting at Starbucks..
after they finish drinking..we went GSC to catch a movie..
on our way there..we saw Cheryl with her boyfriend..
i personally think the show was awesome..
hmm,kind the think of it..i'm kind the out dated on movies..
i haven watch..G-force, where got ghost ok lazy to type it all out..
n yea before the movie starts..
Jo Ee n Cherly went arcade..n Pei Wen teman her sis to buy some stuff..
left only me n Daniel..i didn't wan to go arcade tho..
so we just went a floor down to wash time..
den when is time, we went in to watch the movie..
after the movie..we wait Kai n Meng outside GSC..
den..walk our way to ''the curve''..
yes walk..i noe is near but..
great just great..i try to tahan but i couldn't..
it really hurts..n every time i take a step..
anyway..i stop walking really couldn't take it..
told them is just blister..
den Daniel ask me to take off my shoes..n i did what he said..
when i took off my shoes..the blister is already burst..i noe..EWW..
den Pei Wen ask Daniel to piggy bag me..but i didn't wan it..
i mean no!! he'll b tired by the time we reach ''the curve''..
so the totful Pei Wen change shoes with me..yes!! she wore my sneakers n i wore her saddles..
ok actually i just finish typing a long karangan about dat day..